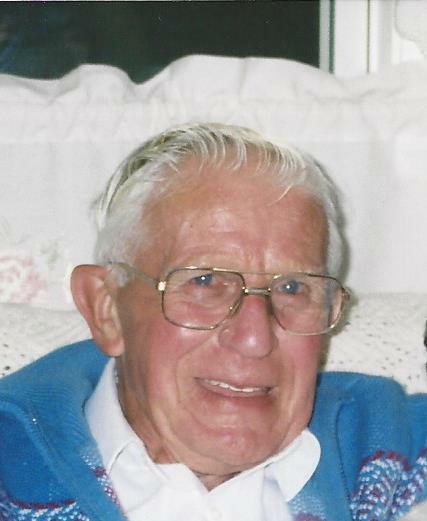 Thomas G. Jensen, age 91, of Lynn died Monday at Life Care of the North Shore after a brief illness. He was the husband of Earline L. (Castle) Jensen with whom he shared 69 years of marriage. Born in Lynn he was the son of the late Albert and Violet (Fudge) Jensen. He attended Lynn schools and graduated from Lynn English High School. After high school he joined the United States Navy and served on Johnston Island during W. W. II. Tom was employed as a Delivery Specialist at Liberty Oil and Ice in Lynn for many years, he also was employed by the United States Post Office, Security Aluminum and Ballus Ice Company. Tom owned and operated City Service Gas Station on Essex St. in the 1950’s. An avid walker he walked all over the City of Lynn and enjoyed discussing the history of Lynn, of which he was very knowledgeable. He enjoyed, collecting coins, watching the Patriots and Red Sox, and loved spending time with his family. In addition to his wife he is survived by three daughters Linda M. and her husband Dennis Floyd of Peabody, Elaine M. and her husband Vic Scalona of the Villages, FL, Catherine L. and her husband Kenneth Harvey of Tallahassee, FL, one cousin Sarah Larson of Gloucester, nine grandchildren, 18 great grandchildren, and many nieces and nephews. He was also father of the late Donna Osborne, grandfather of the late Daniel Harvey, and brother of the late William Jensen, Mary Dullea and Ruth Higgins. Service Details: Funeral services will be held at the Parker Funeral Home 35 Franklin St. Lynn on Friday at 12:30 PM to which family and friends are invited to attend. Burial will follow in Pine Grove Cemetery. Please make memorial donations in Tom’s name to the Wounded Warrior Project PO Box 758516, Topeka, Kansas 66675-8516.